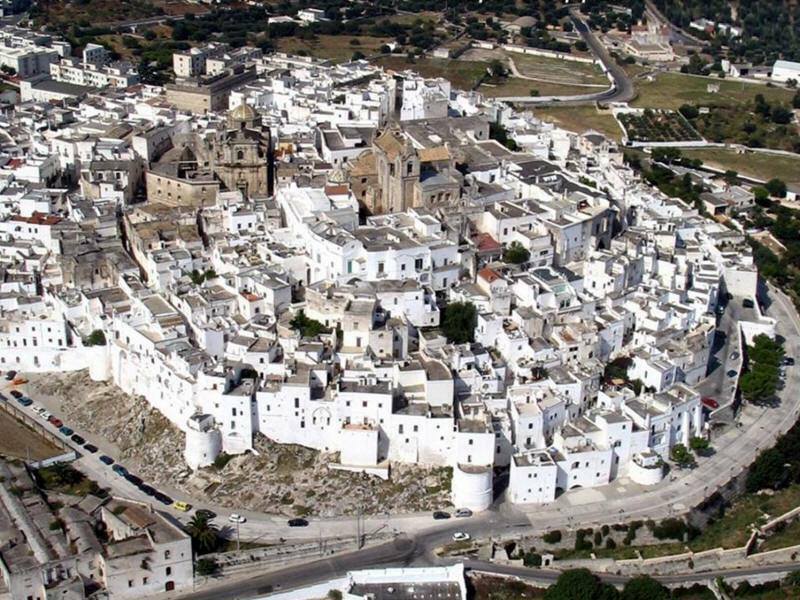 Thanks to the color of its whitewashed houses, Ostuni is also called the White City. It offers the visitor its bright beauty in a landscape of a thousand suggestions, characterized by the presence of olive trees and a clear sea. 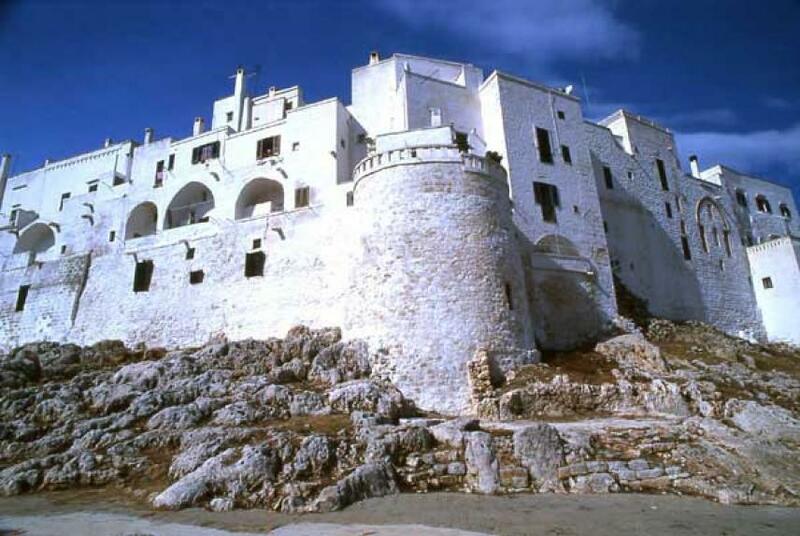 In the heart of the most beautiful Apulia, suspended between the blue of the Adriatic and the green hills of ultralcient olive trees, Ostuni stands the famous White City in the world. 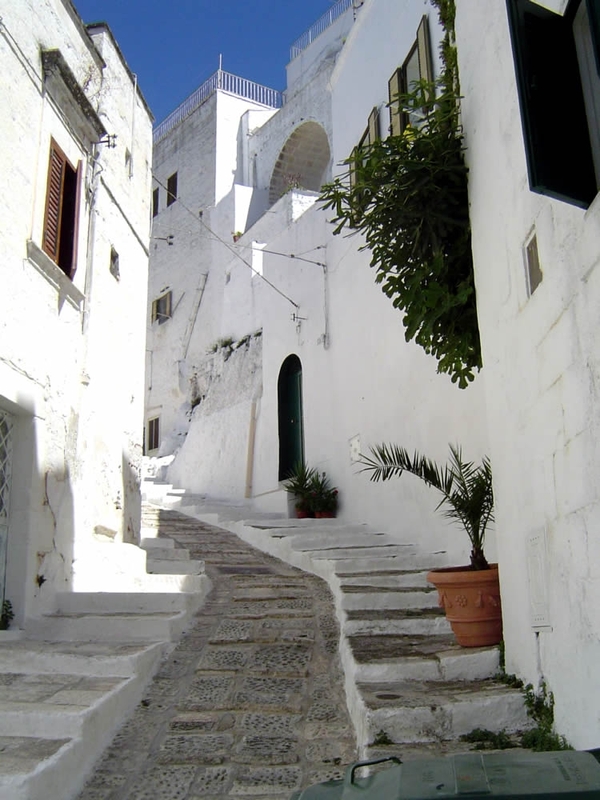 Among the white alleys of the ancient village overlook the churches of Ostuni, which fit harmoniously into the urban fabric as if to reiterate the daily life of the religious monument. The Cathedral of Ostuni, built in the sixteenth century and remodeled several times later, is one of the major examples of Romanesque Pugliese and is characterized by a huge rose window in the facade. Located near the Cathedral is the Bishop’s Palace, built in the sixteenth century and later remodeled, now houses some structures of the Bishop’s Curia.La Church of the Holy Spirit is one of the oldest in the city. Of particular artistic value is the Renaissance portal in w hich the Dormitio Mariae is sculpted. The Church of San Francesco, of medieval foundation, underwent reconstruction work in the late nineteenth century and today it preserves in the counter-façade of works of inestimable artistic-cultural value. Monument symbol of Ostuni is the refined column of Sant’Oronzo, 20.75 meters high and located in Piazza della libertà, where the saint is represented in the act of blessing the people. At half height of the spire are the statues of saints Biagio, Agostino, Irene and Giorgio Armeno. Piazza della libertà was the true heart of the city as it was the seat of the market and many artisan shops. The square, however, as we see it today, is the result of numerous interventions that have changed its appearance. In Ostuni there are many farms that constitute a precious historical testimony of the economic life and the peasant agricultural culture. Many of these farmhouses have been restored and today, some of them, or have become farms or farms.